I’ve been seeing cactus-inspired crafts everywhere these days. Not only DIYs, but home decor, clothing and more. Seeing that I live in cacti-friendly Arizona, I’m going to cover all the best of the spikey goods out there. 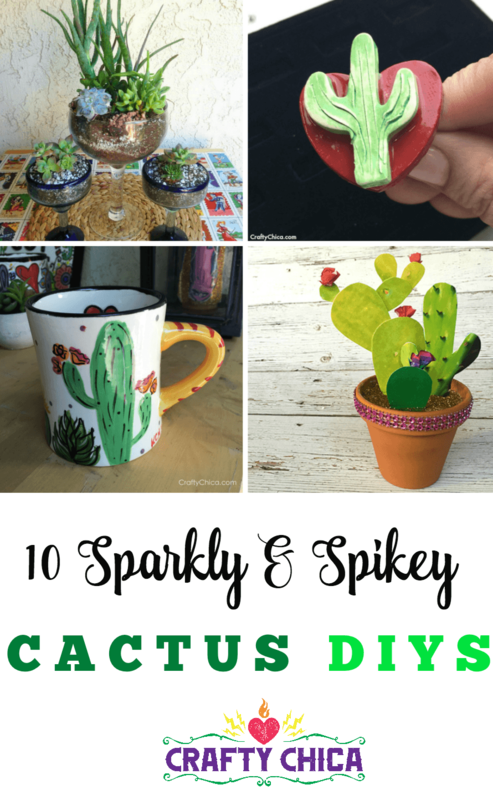 To start, here are 10 fun cactus DIYS to try! Links are in the headline! I’m a mug hoarder. I collect them and then won’t dare get rid of the, Here’s a nice solution. I moved them to the patio and turned them into planters! 2. 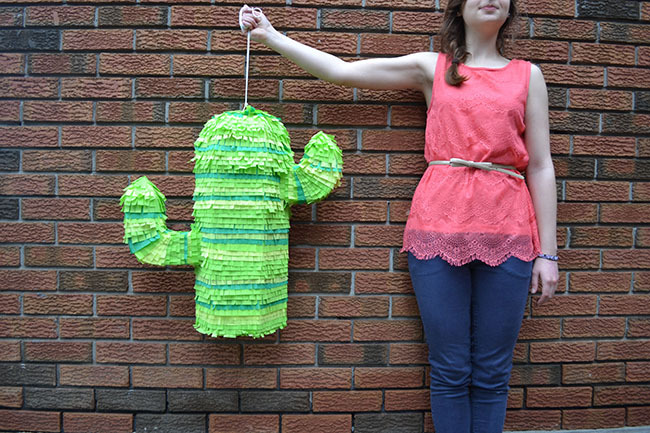 Cactus Pinata by Snowdrop and Company. After you make this, I swear, you won’t want to hit or damage it! 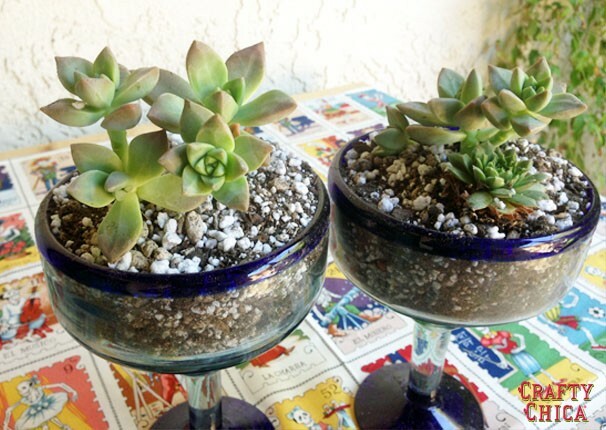 Don’t have time to worry about tending to a live plant – even a cactus? Here’s the best of both worlds! 4. Make a Cactus Pillow. This is on my to-do list, but in the meantime, here is an awesome tutorial by Katherine Elizabeth! Whether you use polymer clay or old school greenware, you can’t go wrong with these chic, chunky pieces! 6. Geo-Painted Cactus Pots by Pearmama. 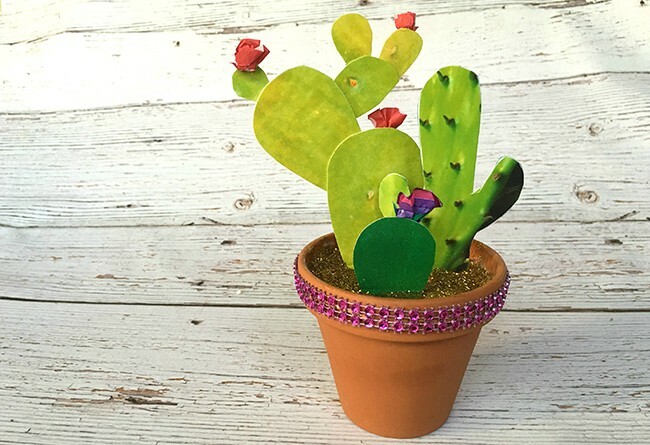 Here’s an artful way to turn an ordinary cactus into a stunning art statement! Photo and craft by Denise Cortes of Pearmama.com. This one holds a special place in my heart. It was part of the central storyline in the first novel I wrote! 8. 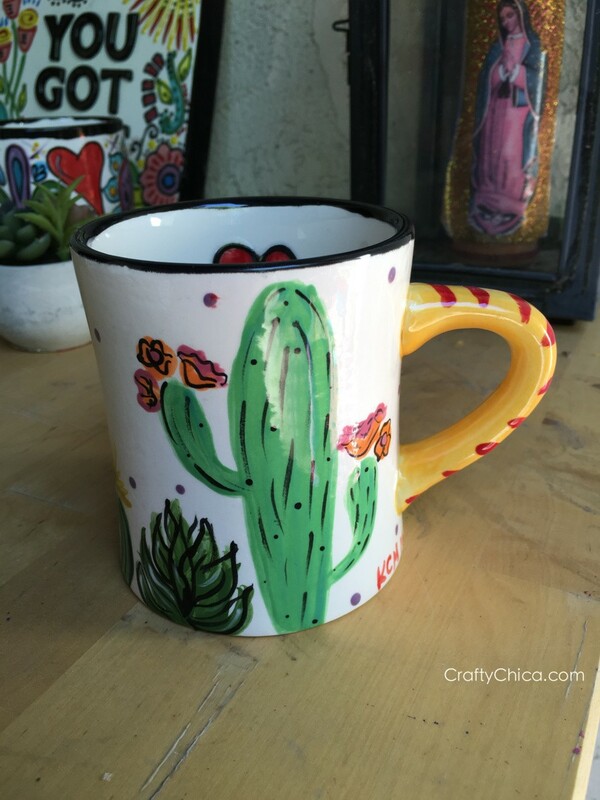 Paint a cactus coffee mug. Yes, we’re back to coffee mugs! 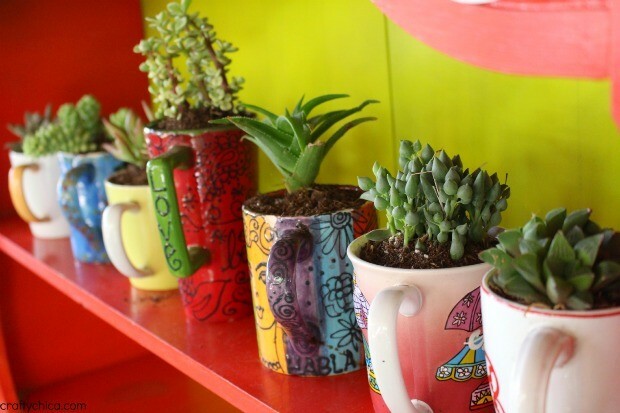 Love coffee and cacti? Visit a local paint-on-pottery studio or use oven bake pens to whip up your own creation! We’ve all seen these, why not finally make one? 10. 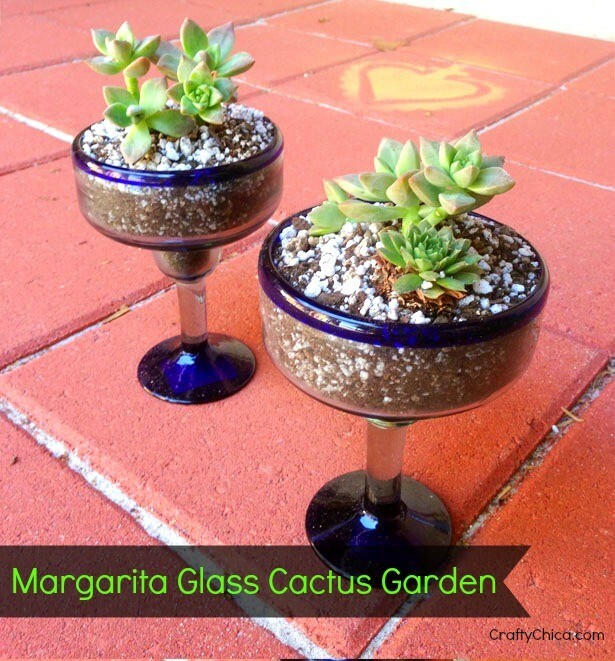 Margarita Glass Cactus Garden. You can find a Jumbo Turquoise Rim Margarita Glass at the craft store or on amazon and transform it into a really cool patio art piece! Which one is your favorite? 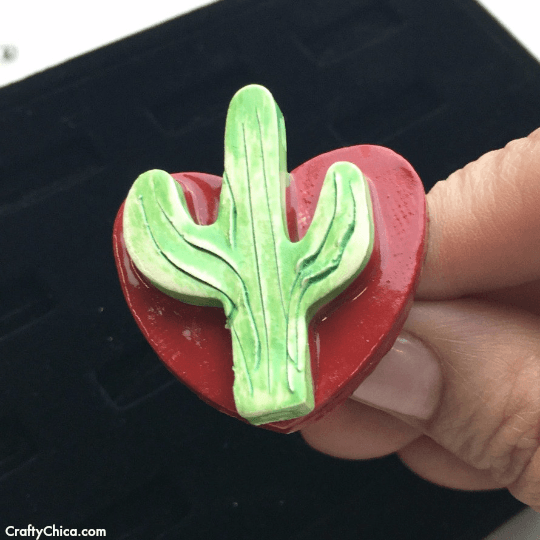 Stay tuned because I have more cactus DIYs coming, my mind is swirling with ideas! My favorites are the mugs and the cactus painted rocks. Loving them. I really enjoy your site and have learned so much. Thanks for all the wonderful colorful ideas. I am a color freak as well.